MSI will debut their new Capella Porcelain tiles, a new mosaic tile display system, and new ledger panel colors at the TISE West Show. M S International, Inc. is an exhibitor at the TISE West Show in Las Vegas, Nevada held at the Mandalay Bay Convention Center, booths B664 and B764, January 20-23, 2015. MSI will debut 12 new ledger panel colors, a new display system for MSI mosaic tiles, and the highly anticipated Capella Porcelain tile line that is a contender in the Floor Covering Weekly’s Dealer’s Choice Awards in the ceramic and porcelaincategory and a contender for Best Product in the TISE Product Marketplace competition. The Capella Porcelain tile collection is reminiscent of old-world terracotta, but updated for today’s consumer. Featuring rich colors and patinas of old-world pavers, this collection includes 12”x24” and 24”x24” Cotto tiles, and coordinating 6”x40” wood-grain planks. Use together, or separately, to create beautiful backsplashes,countertops, flooring, and shower surrounds. The Capella porcelain line is perfect for whole-home installations. The line is designed to coordinate between Cotto tiles and the wood-grain planks, transitioning perfectly from one room to the next. 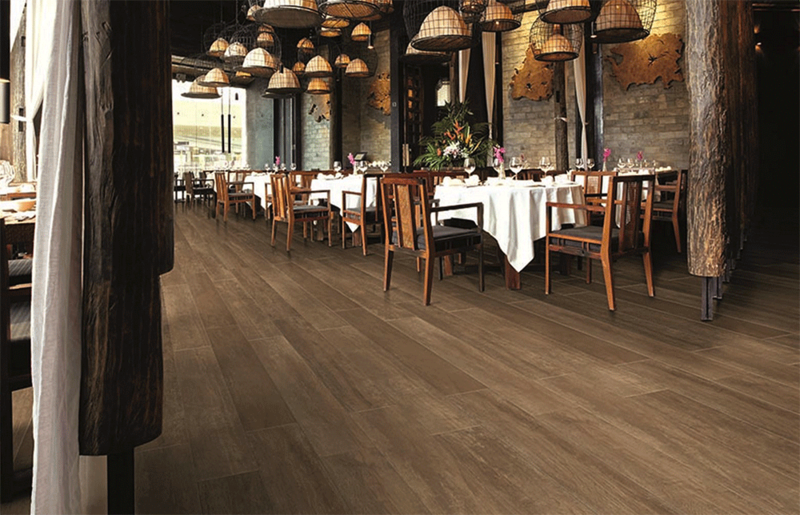 Unlike hardwood and Cotto tiles, these porcelain tiles never need sanding, waxing, polishing or other maintenance, and they are resistant to scratching, staining, and moisture damage. 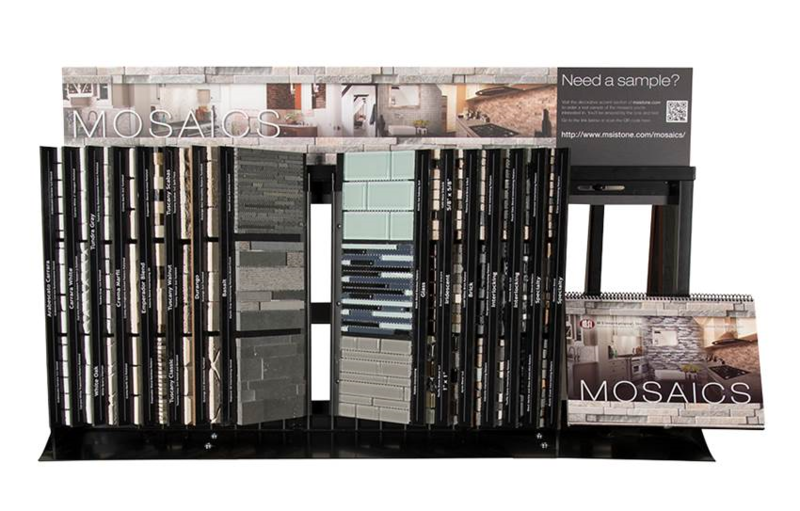 In addition to the debut of the Capella Collection, MSI will be introducing a new display system for mosaic tile. This updated display system, is adaptable for stands, tabletops and wall mounts, allowing customers to easily scan from 90 best sellers including glass stone blends, glass metal blends, porcelain and porcelain blends, and natural stone mosaics. The accompanying Mosaic Guide features ultra high resolution scans that include room scenes that allow customers to envision the product in their home. Ledger panels continue to grow in popularity, and to meet the demand, MSI is pleased to introduce 12 new colors at the TISE West Show. Engineered for easy installation, but designed to look like natural stacked stone, ledger panels can be used for both exterior and interior projects. The new colors include a sleek brown sandstone look, a rustic grey and rust quartzite, a warm travertine, a creamy travertine, and a glacial black. In addition, the collection also includes “pencil” ledger panels, a more contemporary styled stacked stoned available in quartzite, and slate. According to Rup Shah, President of M S International Inc., “We continually strive to bring the best premium surfaces to market, and our new products are a direct result of the feedback we’ve received from our industry partners and customers and our excellent in-house design team that stays up-to-date with design trends. We are excited to meet with industry professionals at the upcoming show, and introduce our new Capella porcelain tiles, a new mosaic display, and the new colors of ledger panels. About M S International, Inc. Founded in 1975, MSI is a leading nationwide distributor of flooring, countertop,decorative mosaics and wall tile, and hardscaping products. Headquartered in Orange, California, MSI also maintains distribution centers across the United States and Canada. MSIs product line includes natural stone products imported from over 36 countries on six continents. In addition, MSI carries an extensive offering of porcelain, ceramic, glass and quartz products. The company maintains an inventory of over 125 million square feet. For more information on MSI, visit msisurfaces.com.